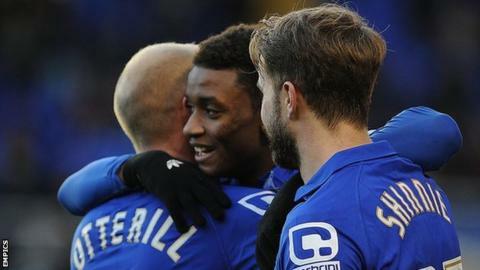 Birmingham City manager Gary Rowett has backed goal-shy striker Demarai Gray to find some scoring form. The 19-year-old wide player has only scored once in 23 appearances for Blues this season - in the 2-0 win at Leeds. Rowett told BBC WM: "If one goal goes in, I am sure three or four will go in very quickly, but at the moment he's snatching a bit at those chances. "It is almost you can see him thinking in his mind 'I have got to score this, I have got to score this'." Birmingham drew 1-1 at Preston on Tuesday to move up to eighth in the Championship table, four points behind sixth-placed Ipswich Town. And Rowett was impressed with what he saw from the England Under-20 international. "I thought he was really excellent," said Rowett. "I thought he was a constant menace to a Preston side who have hardly conceded any goals over the last 10 games."